The result is astounding and a real good minimal dj-tool. In his hideaway - that we have to keep secret – he produced 4 new tracks somewhere between minimal electrodub and dry , functional techno with a kiss of house. little fx or gimmicks. the machines in their original sound spread a clear and pure atmosphere. this stylish vinyl is at home on your dancefloor and in your livingroom. This is the second release of the Hörzu! sequel that is managed by our expert for dancefloor: dj monoton (who practically lives in a recordshop and is the craziest vinyl-addict we know). monoton is a regular support dj on our labelnights. Music without names and faces but with a lot of heart, passion and the hi-hat coming in at the right moment. 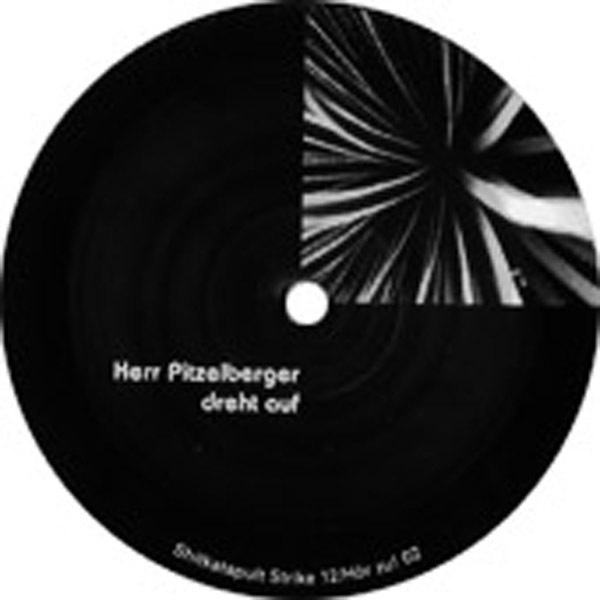 In october herr pitzelberger will come again to meet the crowd on the dancefloor.